Goeneutte was born in Paris in 1854. 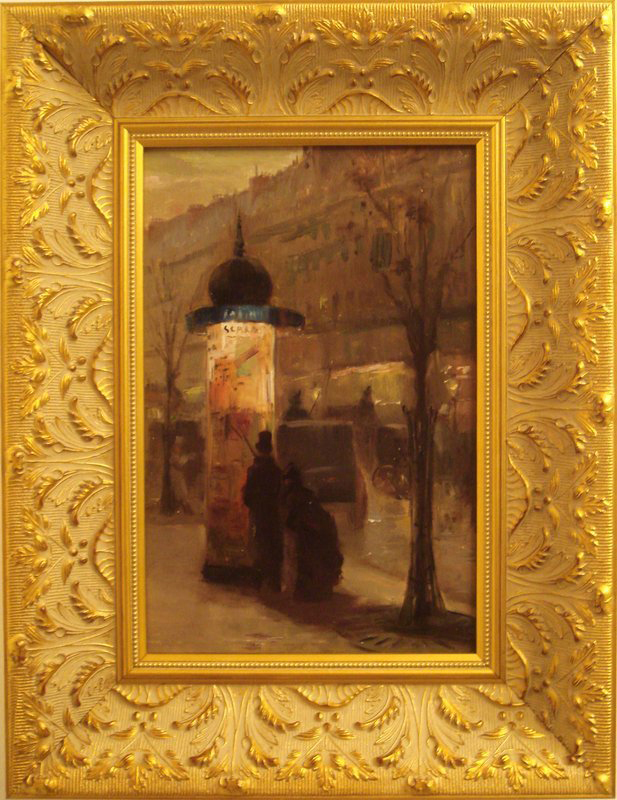 In 1871, after working briefly as a lawyer's clerk, Goeneutte entered the studio of Isidore Pils at the Ecole des Beaux-Arts. When Pils died in 1875 Henri Lehmann took over the studio and Goeneutte left, moving to Montmartre. There he met Auguste Renoir, for whom he often modeled, and Marcellin Desboutin, who inspired his interest in engraving, etching and drypoint. Although Goeneutte was associated with Manet, Degas and Renoir, and his work was influenced by them, for instance in the informality of his compositions, he never exhibited with the Impressionist group, preferring instead the official French Salons. Every year from 1876 he exhibited several works in the Paris Salon, such as Boulevard de Clichy under Snow (1876; London, Tate). He visited London in 1880, Rotterdam in 1887 and Venice in 1890. Goeneutte’s piece are part of the collection of many museums throughout the world including the Fine Arts Museums of San Francisco, Musée d'Orsay, Museum of Fine Arts, Boston, National Gallery, London, Réunion des Musées Nationaux, Cleveland Museum of Art and Tate Gallery to name a few. Goeneutte has come to be regarded as a first tier 19th century French Impressionist of great historical importance and his pieces are becoming increasingly rare and highly desirable. The two pieces in our collection are only offered as a pair as they have remained as such for well over a century.